Yes, I will. No try. I will post every day in 2011! 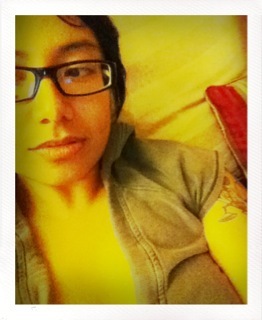 Surprisingly, writing on my art blog everyday is not a resolution for 2011! Rather, I’ve decided to form a habit. It’s been said that it takes up to 6 weeks (to form a habit, that is) so here’s my shot at writing, publicly, in 2011! How is this different from a resolution, you ask? It’s different in that I have no idea where this experiment will take me and it’s a habit (very rarely is a ‘resolution’ synonymous with a habit). I’m also up for challenging myself and getting my thoughts out there versus having them become stale rock hard thoughts that weigh me down. The promise is more to myself than anything or anyone else. I WILL write (a sentence, a paragraph, an essay) everyday about one of my passions, the deepest passion, which is Art – EVERYDAY. Yes, I said it, EVERYDAY! This will not be easy and some days, I may just throw a word on my blog and not care BUT I’m trying to make my voice known and heard in the arts community so I’m starting the habit today!! I will also be making use of TheDailyPost, a community of other bloggers with similar goals. If you’re a friend or family member reading this blog, I highly encourage you to leave comments and/or questions. I could always use the feedback, support, guidance, and constructive criticism! Cheers to a new year and, hopefully, a lot of new wonderful art projects and writing opportunities! Admittedly, I’m not the biggest fan of the holidays. HOWEVER, I can appreciate and get into all the things people do to keep the spirit of Christmas light and exciting. It’s ridiculously endearing to see the creativity and imagination involved in keeping the fantastical, well, fantastical! 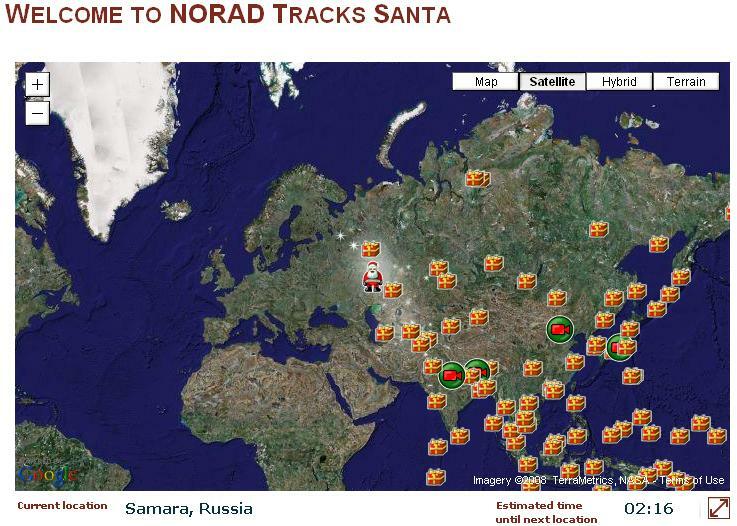 Click here to track Santa sleigh ride around the world! 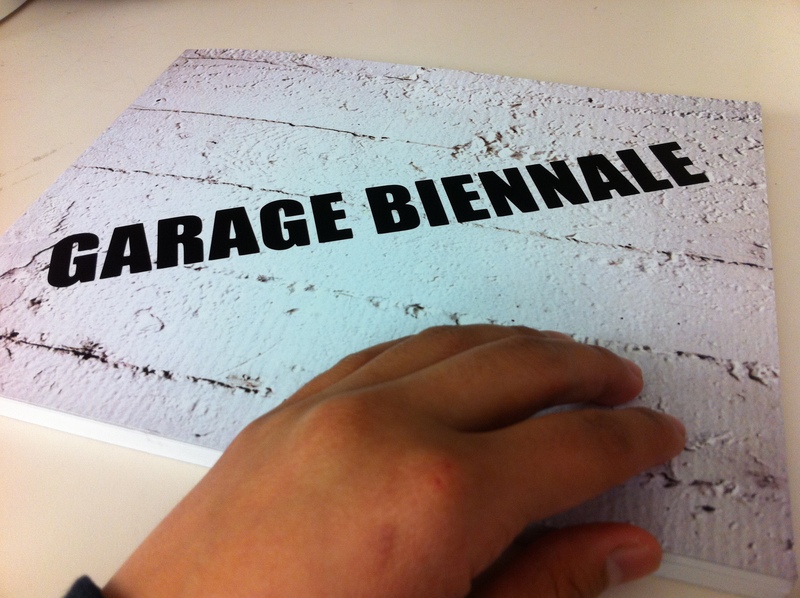 Garage Biennale Book – Now Available! 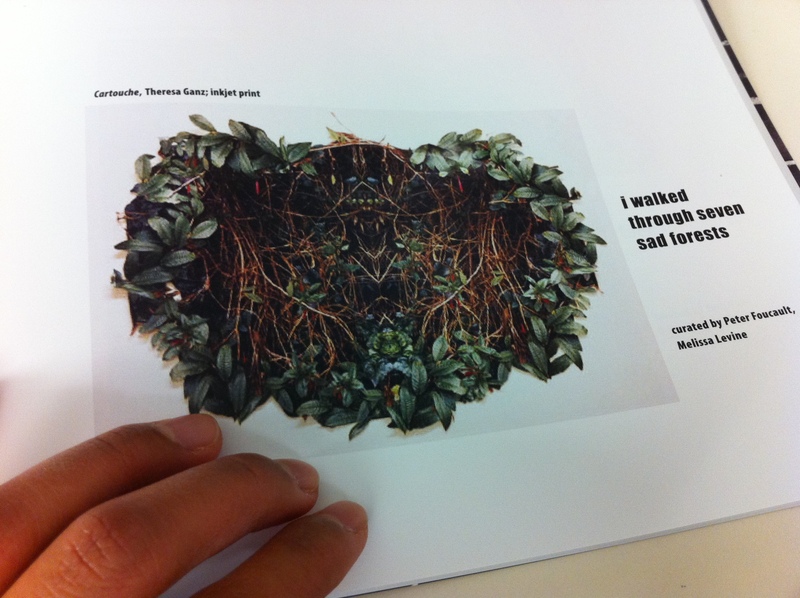 The first show I attended at the Garage - "I Walked Through Seven Sad Forests"
Art is supposed to be an experience. Don’t you think? Well, I do. These days, it’s not enough for me to look at something on a canvas or a neatly stacked collection of combs (okay, so if it’s Sonya Clark, I know the combs are ridiculously magnificent looking and rife with cultural subtext and history. Yes, I love her work but I just digressed, big surprise). In any case, I said it and I’ll say it again. It’s NOT enough to just look at something for sheer retinal pleasure. As much appreciation and adoration I have for traditional art, there is something incredibly valuable about contemporary art in the conceptual realm. 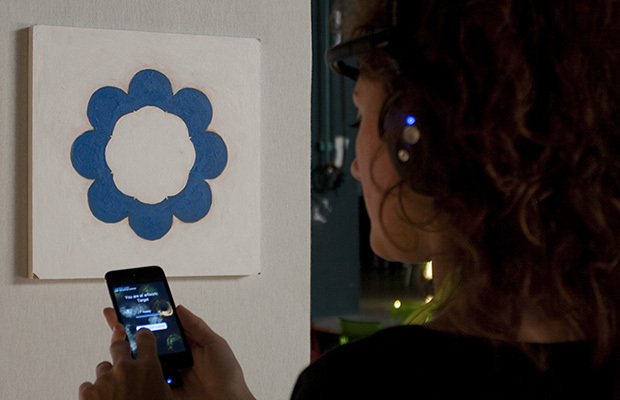 In particular, art pieces that are fleeting and ephemeral involve this excitement and wonder. The temporality of the Garage performances and exhibitions asked only one thing of its patrons – to be present. For those that wonder, “What good would a book about events I never attended and/or will never happen again do for me?” The answer: It’s a part of history. The loss of the moment. The loss of the opportunity. The loss of the time spent watching. The loss of an experience. Being an avid supporter of alternative art spaces, Justin Hoover‘s book, Garage Biennale serves as a wonderful chronicle of a truly alternative and experimental art space in San Francisco. I remember first learning about the Garage and utterly fascinated how one went about creating a gallery space that was simultaneously public and private. The dichotomy alone intrigued me and I considered myself a patron when I viewed my first show, “I Walked Through Seven Sad Forests”. It was the first art show I ever wrote about, actually. I always wanted to write about art but I never thought that this Garage would have been the impetus for that aspiration. I owe a lot to the Garage and Mr. Justin Hoover…thank you, my friend! Who said beauty doesn’t matter? Similar to art, beauty’s ubiquitous and enigmatic nature is ever-present in our visual landscape. It is not just on billboards, in magazines, or the growing number of photographs we see of others (i.e., seeing our own ‘beautiful’ friends on social networking sites as we all re-define self-portraiture in this digital age) but even deep seeded in our histories, you will find how standards of beauty have been created. Our histories reside in our bodies. It is obvious in the way in which we care for ourselves. The Pagbabalik Project created an excellent performance piece comprised with rich stories and experiences of women within the Filipino culture. They looked at the cross sections of American and Filipino history, post-colonialism, and standards of beauty and how each are inter-related. 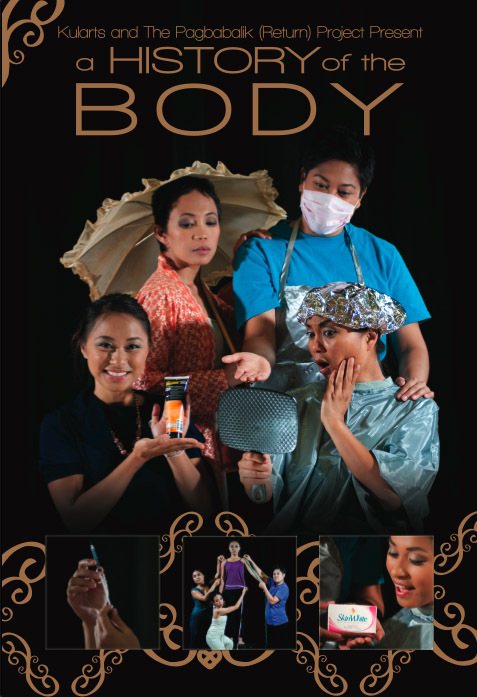 After viewing this ‘work in progress’, it definitely goes beyond the Filipino community and steps into more universal themes such as acceptance, equanimity, tolerance, and a desire to learn about the self as well as other. My only criticism at this point: Looking at standards of beauty with the LGBTQ community (but during the talk back session of the opening weekend performance, this is an element of the entire project that has yet to be incorporated), which I was very excited to learn. I also heard the collective is interested in seeing how such issues are depicted in the Visual Arts (across genres). I foresee some amazing art coming out of The Pagbabalik Project!